World Smile Day is Coming! For years I have been a huge Smiley Face fan and of Harvey Ball, the icon’s creator. More than just a trivial drawing, Ball’s Smiley has been morphed into a worldwide movement celebrating joy and happiness. 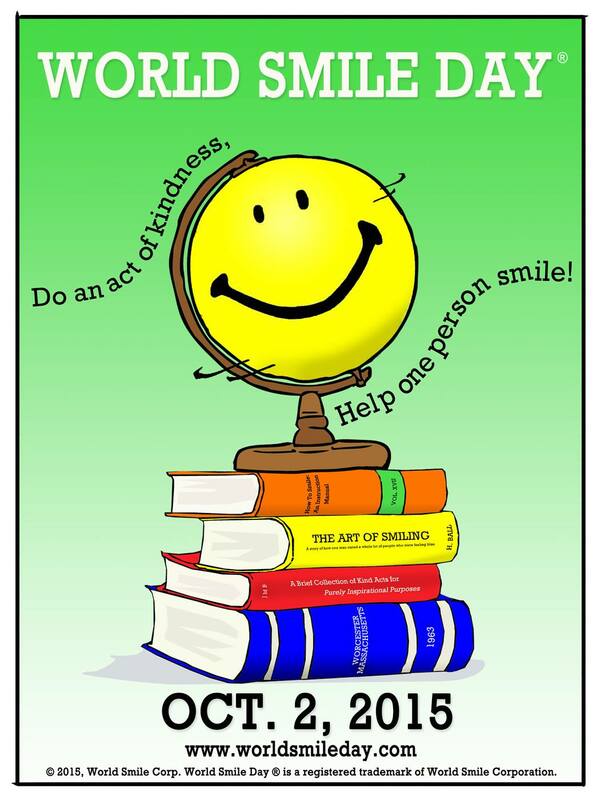 That movement reaches its zenith each year on October 2, World Smile Day. The spirit of the day is to do random acts of kindness for people. Of course, it would be great to carry this effort through to the entire year, but if we can get people, religious and non-religious to do more good deeds for even one day, that is a win-win in my book. Apart from doing good deeds, just trying to get people to smile more is a big plus. Science now tells us there are real health benefits to smiling. With all the troubles in this world, it would be easy for some to lose their desire to smile. But love conquers hate and joy trumps sadness. Sometimes getting someone to smile is as easy as smiling at them ourselves. And for everyday stewards, spreading the joy of the Lord we hold in our hearts is a must. Joy is contagious! So, you have one month before the big day. As an official ambassador of World Smile Day, which you can be too just by saying you want to be, I invite you to make your little corner of the world happier on October 2 and every other day of the year. The website link embedded above will take you to resources to help celebrate it officially with friends, school children, family, and even parishioners. If you find all this silly and trivial, I’ll bet you are someone who really needs to smile more! Life is beautiful! Don’t be so serious! For the Smiley Face song click HERE!